Last week was the Third Annual Paradox Convention and it returned to Stockholm. I was there two years ago, but it was an in and out trip for the most part. See the games, meet the people, go to a pub, fly home. This year, I had a week – front loaded with work of course, from the mundane tasks of cutting out name tags to the very important prepping of our clients for their presentations to the please-kill-me-now chore of meeting everyone at the airport and sending them to Haringe Slott for the event. No, I didn’t get a good picture of the place. All my pictures of Haringe itself were a little blurry. Hoping that one of my friends did, because it looked great in the cold and snow. I’ll probably not write a lot about the games themselves here, since a lot of previews are still coming out. Evolve will be working with Naval War: Arctic Circle, Warlock: Masters of the Arcane and the just announced Napoleon’s Campaigns 2. 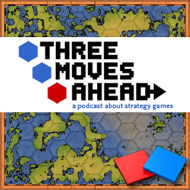 I am personally excited to have these three games in our stable and we are again very pleased to be working with Paradox. The more time I spend talking to and working with them, the more I understand why they have so many people that have been there for seven to ten years instead of the high turnover you see at other studios. I cheered for CK2 (no offense to my WotR friends at Fatshark, who also made the very sweet Western online shooter Lead and Gold) and the good guys won. So then off to dinner, where there was a random draw for where you would sit. The gods smiled that night, and I sat with two very good friends. The next morning, there were interviews which were the usual mess of scheduling confusion as 15 minute appointments turned into 30 minute chats but everyone was in good humor no matter what, because everyone at Paradox tried hard to make sure everyone got what they wanted. The highlight of the trip was the city tour on Saturday. 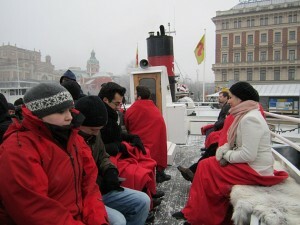 We started with a very very cold morning boat ride around some of the city. Warm drinks and seeing everyone else suffer a little more than I was proved to be the perfect combination. 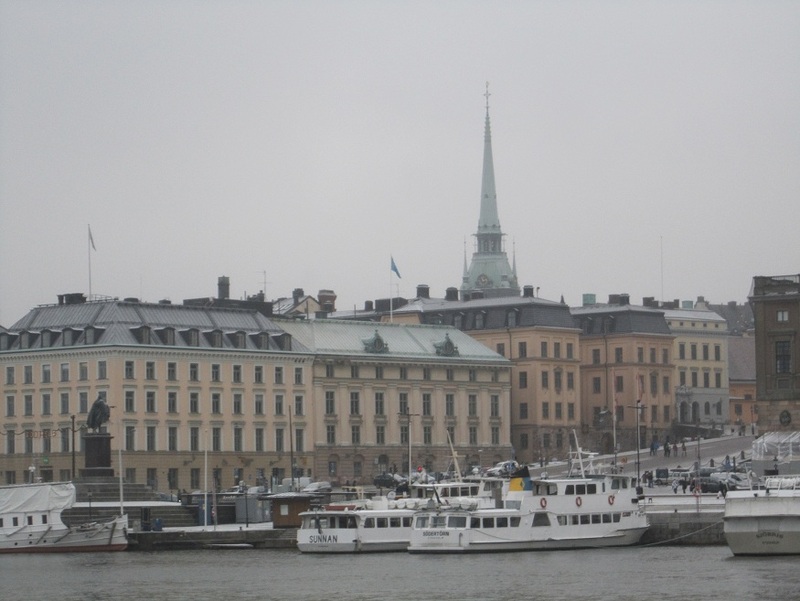 The Stockholm harbour is very nice and I got some nice pictures of the architecture there. The entire older city area (we eventually wound up in the real Old City) is a reminder that there are places in this world not far from civilization that echo with the footsteps of ghosts that measure their lives in centuries, not decades. 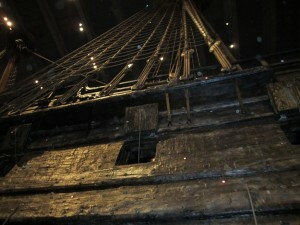 The Vasa museum was more interesting than I expected. I love museums – I really do. But an entire museum dedicated to a boat that didn’t float? Turned out they’ve done a masterful job with keeping the Vasa front and center while also having excellent exhibits on the life of 17th century sailors, the artisanship that went into shipbuilding and the people of the Stockholm area. Apparently Gustavus Adolphus was fat, which doesn’t fit my image of the great soldier king. 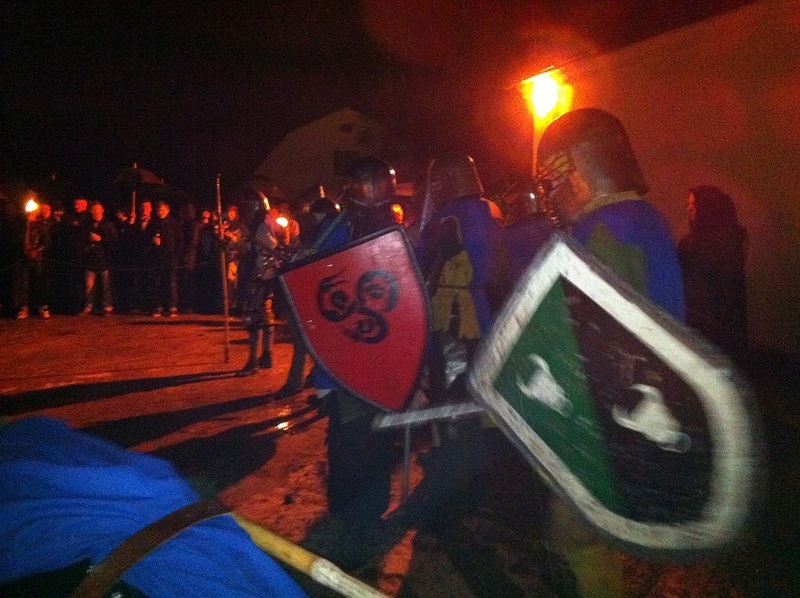 Then it was a nice dinner, and then a party at the apartment of a very awesome Paradox employee. I have more pictures, but they are more of people than things, and you won’t know these people, or at least not many of them. I’d love to go back in the summer, since I hear that Stockholm is more fun when the sun never sets. Because holy crap was it dark early. The professional stuff you will hear more about later, and I’ll answer any questions you might have. It was a great trip, I hope Paradox’s media and sales partners got the information they needed, and thanks to everyone in Stockholm that made the journey worth the complete mental fog I am still in as I work. Oh, and where is the PQ-17 setup? Sweden doesn’t really have much in the way of actual medieval castles for defensive purposes because for most of the time period the nobles were way to poor to afford their own castles in the style of the french or german nobles. The great Swedish noble estates and mansions, of which Häringe looks to be one, were mostly built with wealth looted from the wars in Germany and Poland in the mid 17th century. A lot of the estates were still called castles because they were built on sites of earlier fortifications or simply because it was a way to show off. Resisting my urge to lecture is hard. So hard. I keep failing. Stockholm is a _lot_ better in the summer. I love all of the Scandinavian capitals, but Stockholm remains my favorite. The Wasa museum is really a must-visit for anyone remotely interested in history that comes to Stockholm, as you’ve found. Such a great exhibit. In terms of Medieval artifacts, the two must-visit locations in Sweden are really Visby and Kalmar castle. Such great locations, but not really accessible on a short trip. Ping me if you’re ever in Norway. Add another vote on Stockholm in the summer. It transforms completely. 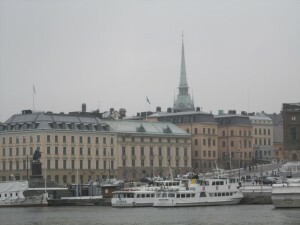 But Gamla Stan (the old town) is great year round. I lived there a year and never got tired of walking around those streets. I would also highly recommend taking a few of days to head out into the Stockholm Archipelago in the summer. They have a huge network of ferries allowing you to island hop around to your heart’s content. Actually, there is no midnight sun in Stockholm, it’s much too far south for that. You need to get north of the arctic circle to have no night during summertime.